Steel frame. Suspension in bent beech strips with stiffness adjusters. 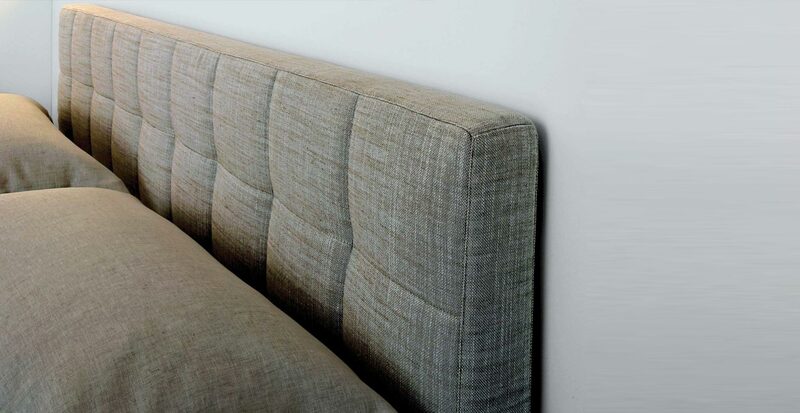 Upholstered base and headboard in polyurethane/heat-bound polyester fibre. Removable quilted cover in fabric or leather. The bed of the version 1874 and 1876, fitted inside the base, is furnished with a container unit accessed by lifting the mattress with a special device. Upon request, only for the versions 1875 and 1877, the bed can be supplied with adjustable corner supports that enable to place the springing at different heights.